It is what it is, "Hard Rain". Maybe messy. Maybe magnificent. Maybe messily magnificent. Despite its remastering for the "Complete Works" box set, there are still a few problems with the somewhat muddy sound, for me. On the other hand, there is definitely an ad hoc energy about it. Personally, I prefer the "Rolling Thunder Bootleg Series" from the same period, by far. This does catch an artist and a band just "going for it" in a slightly shambolic but enthusiastic manner though. 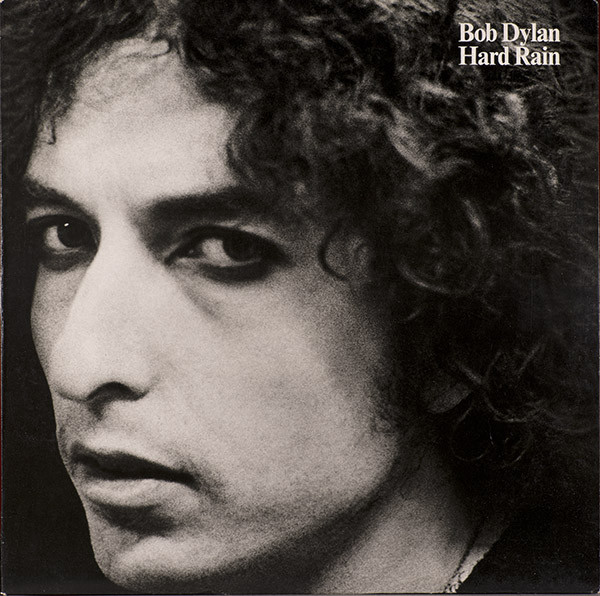 It is raw and edgy and, as many have commented in the years since it was released, Dylan was going through a bit of an angry, relationship breakdown period and this undoubtedly affected his gritted teeth, committed performance. 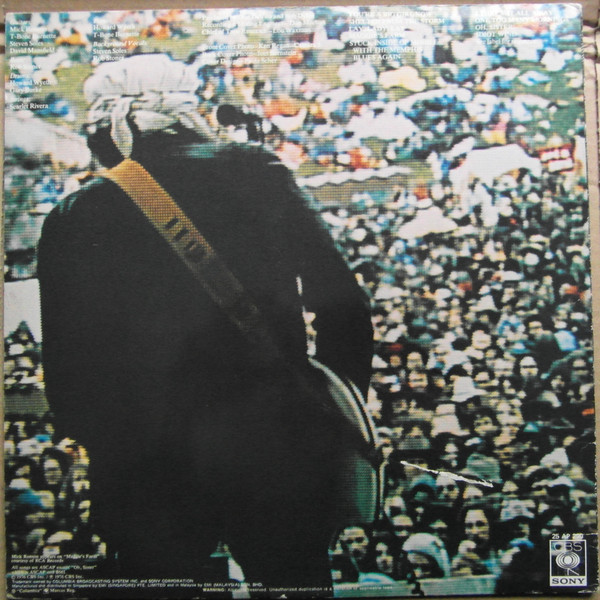 Of course, it is a vitally important album, chronologically, in Dylan's career. More so than its musical worth, probably. It is worth noting that the tracks are taken from two concerts - Fort Collins Colorado and Fort Worth, Texas (the performances from the latter are asterisked below). So, there is not the continuity of a single show. This adds to the disorganised feel of the album. 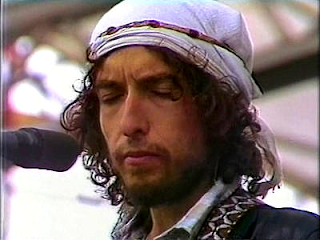 Another observation is that Dylan wore a biblical style head-dress for the Fort Collins show of the sort worn by children in nativity plays. His appearance was, intentional or not, very Messiah-like. "Maggie's Farm" is rocking and ramshackle, full of unrestrained vitality. "One Too Many Mornings" is enhanced by some excellent violin from Scarlet Rivera. "Stuck Inside Of Mobile With The Memphis Blues Again" is done vibrantly, with a catchy bass line from Rob Stoner. Dylan is on fine form, vocally, on this too, doing the wordy song justice, thankfully. "Oh Sister" again features that lovely violin and a strong delivery from Dylan. "Lady Lady Lay" is a bit muffled, sound-wise, with a bit of background hiss. Maybe it was chucking it down at the time. "Shelter From The Storm" is given a slightly reggae-ish makeover on its verses and it positively bristles with an almost punky anger as Dylan spits and bellows out the lyrics. It is a radical re-working of the reflective number we all know from "Blood On The Tracks". It is quite visceral in places. "You're A Big Girl Now" has a fetching guitar backing and Dylan's delivery is suitably respectful of the sombre, plaintive original. Nice piano on it too. One of the album's best interpretations. "I Threw It All Away" is the only live performance of it that I have. Unfortunately it is a slightly grating, at times, delivery of one of "Nashville Skyline"'s best songs. Dylan's voice is jarring, as is the unnecessarily clashing guitar sound. Then, of course, there is "Idiot Wind". For many, this is the definitive performance of the song. As far as I know it is the only official live cut of the track. It is certainly the only one I have. It is a snarling, incredibly wired rendition of the song, and by far the best track on the album. Not only is an irked Dylan "up for it" but the band are too. When he sings "I can't feel you anymore..." he sounds close to tears. All his raging glory, indeed. Overall, despite its cultural importance, for me it is nowhere near his best live work. For a lot of people it is, though, and that is fair enough. I can sort of see why, but I can never get past the less-than-perfect sound.